Brief update from NBC Universal CEO Jeff Zucker re Hulu’s back-and-forth with Boxee, the software that makes it easy to move online video services like Hulu to your TV: Zucker says Hulu, the joint venture between GE’s (GE) NBC, News Corp.’s (NWS) Fox and soon, Disney’s (DIS) ABC, still doesn’t want Hulu on Boxee. What does that mean? 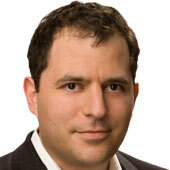 For now, it means that the cat-and-mouse game between Hulu and Boxee’s engineers will continue. I’ve heard rumblings that this could one day escalate to legal action, and I know that the Hulu camp believes that Boxee is violating its Terms of Service. But last I heard (as of last week) it hadn’t gotten to that point. Which is good for both sides, as a legal fight would be expensive and stupid.